I would say this is a film to be seen. So If you haven't see it yet STOP READING NOW! Thirty one years later JJ Abrams has re spun the Wrath of Kahn in an imaginative and creative way continuing to use the change in the timeline created in the first 2009 reboot film to give him license. Early leaks that the return of Kahn were vigorously denied… and to see that indeed he is in this film makes me feel stupid for believing the early hype and retractions… Not happy with that feeling JJ. With out giving a blow by blow lets just say the events unfolded in the first film scared Starfleet shytless and they engage the use of Section 31 (star fleets covert operations first seen in DS9 and Enterprise..something that would have made Roddenberry roll in his grave) into a plan to keep the federation safe…(homeland security style) They create a massive dreadnaut ship called Vengeance… all done up in black and created in shapes reminiscent of stealth tech as if that shyt works in space… Section 31/the Federation dig up Kahn and coheres him into using his super power skills to rid them of the impending Klingon attack and war. Needless to say you don't let an angry powerful genie out of the bottle and expect the plan to work…. Kahn sets into a convincing rampage(9/11 style weapons of mass destruction on London) and Kirk and Spock set out to stop him… and the balance of the wrath of kahn plays out… But this time Kirk Dies saving the ship and Spock is on the other side of the glass… and with tears falling from his eyes screams Kaaaaaaahhhhhnnnnn! 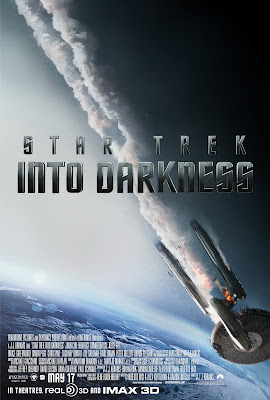 To quote Nordling from Aintitcoolnews.com : "It’s just an opportunity for Abrams, Lindelof, Kurtzman and Orci to shove fan service down the audience’s throat. There’s no special meaning or weight to it, and when Spock screams “KHAN!” at the top of his lungs, it feels like an insult. It feels like the filmmakers think so little of STAR TREK and the fans; that all we want to see are the same stories over and over." And this is the prime failure point in the film… While rebooted I am tired of rehashed story lines, rehashed dialog. 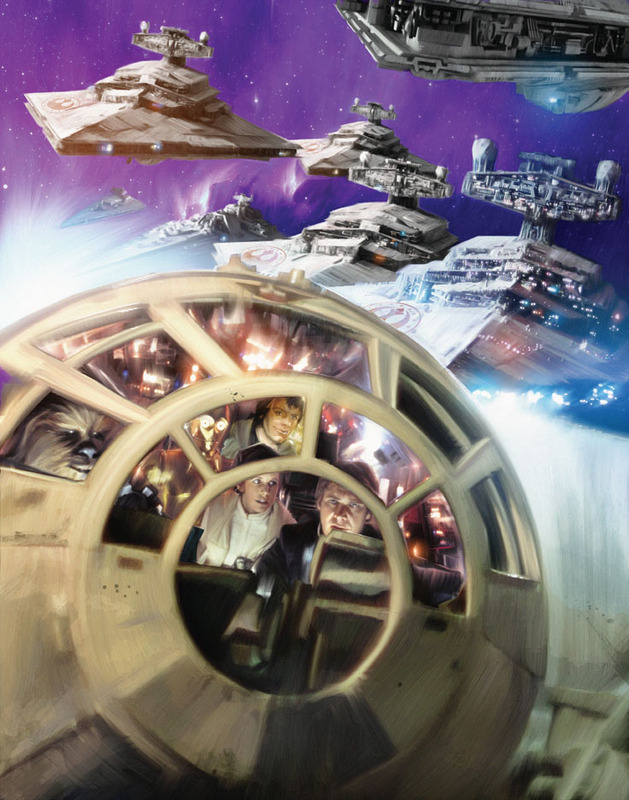 One could see Lindelof, Kurtzman and Orci in front of a storyboard of Wrath of Kahn re arranging the scenes…. and taking the easy way out by filling in the cracks. They did a fine job of this by introducing fast paced heart pounding action scenes into the less than creative storyline and in doing so made a film that was still enjoyable to watch. Some secondary points of failure in this film included the recreation of several scenes from the first film… Pike picking Kirk back out of the bar..really?! I believe in you now lets get out of this dive!… Been there done that! The pararashooting scene remade into a ship to ship space jump…. been there done that! The Enterprise bursting through the clouds of earth repeating the burst it made out of the clouds of Titan in the first film… Been There Done That! The reintroduction of Spock Prime in this film was nearly unforgivable as it suited no purpose other that to yet again feature Leonard Nimoy in the film… (read this… Love Leonard Nimoy and if he was to be in this film then he should have had a purpose) Again been there done that! Benedict Cumberbatch is an amazing actor but in what way can he play a east asian prince which is who Kahn was?! In fact all of the actors did a splendid job in their roles…. Again this film was not a total loss. It WAS enjoyable to watch but the simple fact remains this is JJ's last chance at bat… the next film needs to show that He and the writers can create a film of their own… boldly going to places we have never been to before…. seeing things yet unseen and facing challenges in a Star Trek way that have yet to be experienced. Now one more word of advise to JJ Abrams… I believe the next Star Trek Film will be better… The comments I have written tonight are being written by many reviewers and I am sure he will be able to put a film together that will continue to bring in the new audience with out insulting the old… But this word of advise is not about the next trek film. JJ will be helming the next Star Wars Trilogy… I can't say that I would want to be him going into that project… What I can say is the Star Wars Universe does not need a reboot… We want characters we know… ships we know and the Galaxy far far away that we know…. We don't want a new Millennium Falcon…. we don't want reworked R2D2 or C3PO… You've already signed all the primary actors from Return of the Jedi…. Take the story in to the future in an expected and logical way…. and in my opinion leave Lindelof, Kurtzman and Orci at home to work on a fresh trek… Get some good Star Wars people to help you with this next trilogy. --Big brother saw it the way I saw it. The purpose of this film, I believe was to pull at the heart strings of core fans for which there are fewer now. 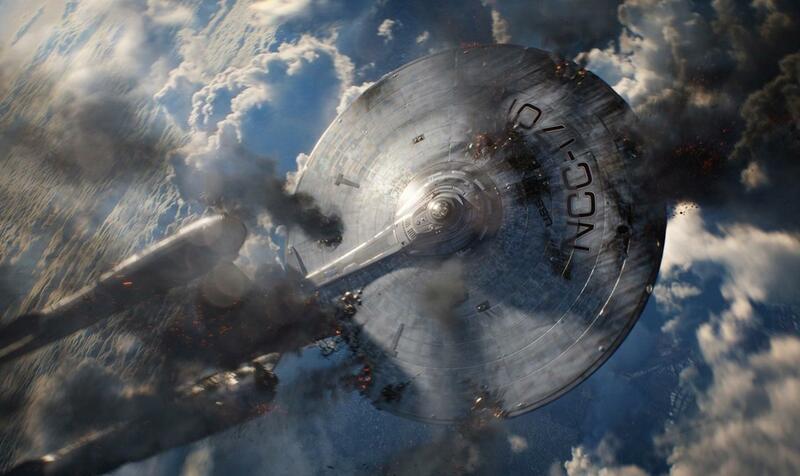 Perhaps the younger movie goers, who have no recollection of Star Trek history will think this is a great movie. By itself with youthful ignorance, it was a good movie, but that's not what it's about to a fan generated industries. Remember, it took a grass roots movement and lots of fan mail to reboot the franchise. The fact that JJ. just reversed rolls and put in the same script dialogue was completely insulting. THE SAME DIALOGUE.... I was saying the dialogue to my wife before the actors opened their mouths.... The second law of Thermal Dynamics, even in a different timeline was violated. The ending was totally figured out thanks to Kahn's remarkable blood properties saving the little girls life. wouldn't hurt to put a little M. Night Shyamalan in the next movie. As for scale (the geek switch has been activated) The New Enterprise is not much bigger that the original and Motion picture Enterprise. The original scale for witch it was meant to represent is more evident in this movie than the first. The Bridge window is a dead give-a-way. I swear I saw objects in the saucer windows too. The shuttle bay is a little bigger fore the aft portion of the secondary hull is a little wider. Let's face it. Name me a miniature that was built to fit the movie sets perfectly or the other way around with exception of older trek ships (OST and TNG). Room for imagination is ok and expected, but to change the scale without changing the miniature is stupid. The fact that the scale was changed to Galactic proportions to satisfy a cameraman is now rendered moot. I almost gave JJ a break on this because I thought he cared mare about the story making the scale of a ship is somewhat frivolous. But after watching the latest installment, the story is clearly secondary. On the plus side, I liked the way they used a real experimental Fusion reactor for the warp core. Better than more Beer factory. But wait a minute. Didn't they eject multiple warp cores in the first movie...like 6 or 7? I'm getting headache. I'm guessing the new movie will be about Klingons and I only hope they don't kill Captain Kirk's illegitimate child from a knocked up Dr. Marcus as a way to enrage the young captain into all out war. Damn, I should put money on this. After seeing this movie, all I can say is that Star Wars is in good hands. Nice review Chris. 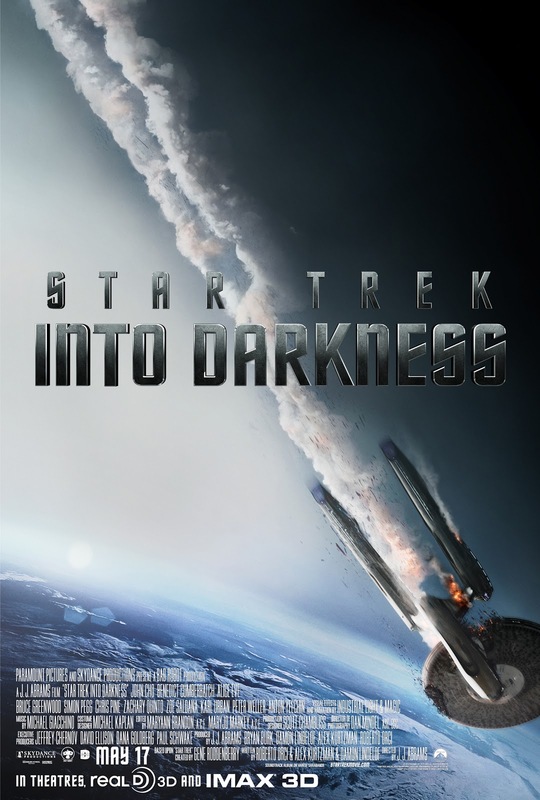 This is fantastic Review of Star Trek Into Darkness. This is one of the best movie I've ever seen. I'v bought some Star Trek Collections as well. There are awesome for kids who are really like toys.